In the Seventies, the founder of Heralds of the Gospel, Monsignor João Clá, participated with several of his companions, in an Ignatian retreat. The mystical aspect, the logic, the depth of thought, the horizons, the perfect knowledge of human psychology were among the many other reasons that moved him to incorporate this wonderful practice inherited from Saint Ignatius of Loyola in the institution he founded. Since then Ignatian retreats have been continuously preached on a regular basis. This provides every Herald the opportunity to make an individual retreat every year lasting from five to fourteen days. The enormous spiritual wealth of the Church allows each retreat to focus on a different underlying theme, which can also adapted for the type of persons, their age, or education, so that, while always maintaining the same basic structure, they are never overly repetitive. 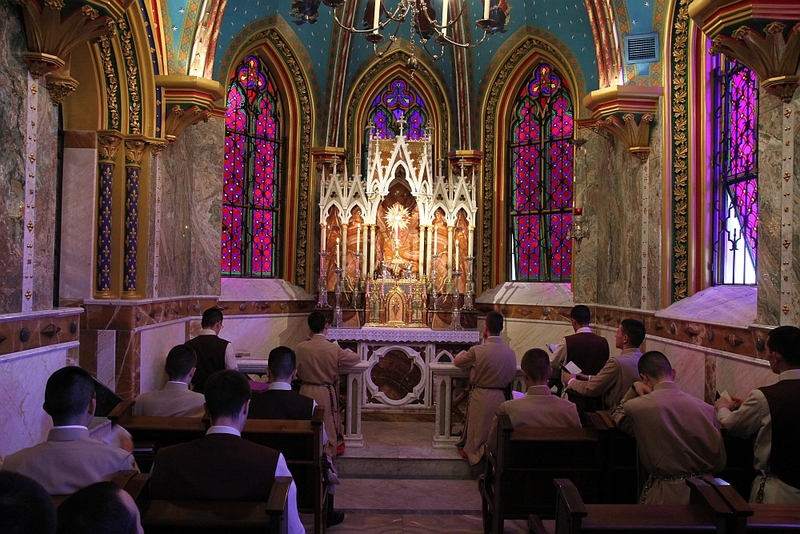 Retreats are made in silence in the presence of the Blessed Sacrament exposed; this is the best way to hear the voice of God whispering in the depth of one’s heart. 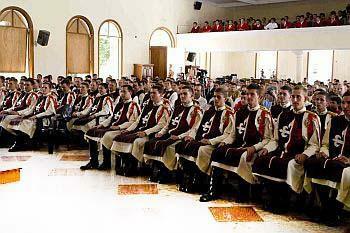 In addition to Mass, private prayer, and prayer in common, there are four conference per day. Each one is followed by an hour of meditation. The meals are accompanied with spiritual reading. And, all day long, priests are discreetly available to hear confessions. 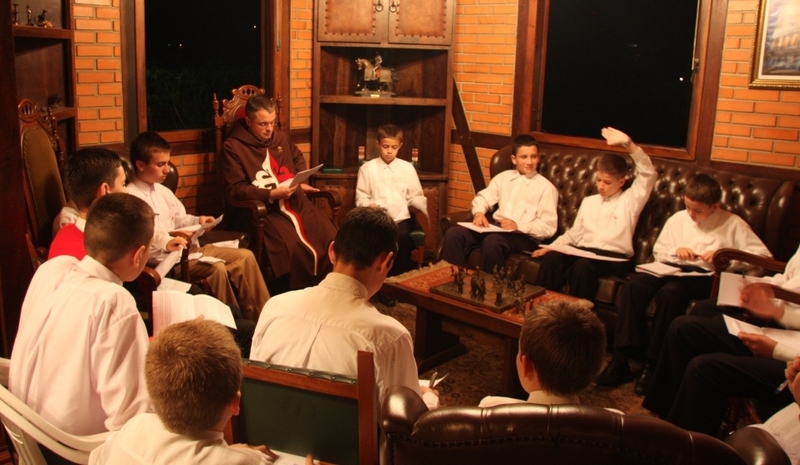 The growth in the number of companions, the work among families – especially those involved in the apostolate of oratory – and the faithful at large, have created favorable circumstances for the development of the Ignatian retreats suitable for the general public, which are organized periodically usually over a weekend. The available spaces are quickly filled. And sometimes the number of requests is such that several retreats need to be scheduled on different weekends for separate groups to meet the demand. During the retreat, the Blessed Sacrament is exposed for adoration from morning until evening. The exposition is only interrupted during the night. 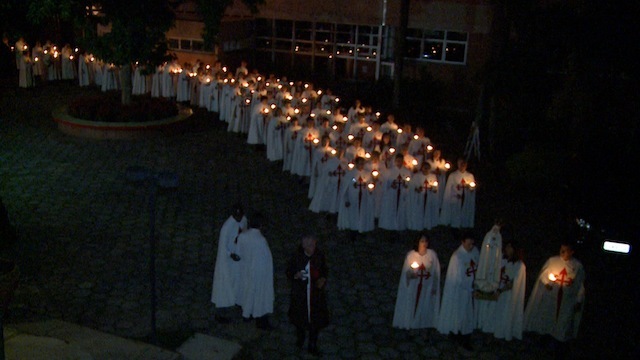 In addition to the Mass and conferences, many activities in common are organized, such as, the recitation of the rosary in procession with torches and study circles. The study circles aid the participants to share and deepen the fruits of their meditations. A similar experience has occurred with the growth in activities with young people. Over time a special model has been developed for young adolescents adapted to their age and condition. It has been just as successful as others. 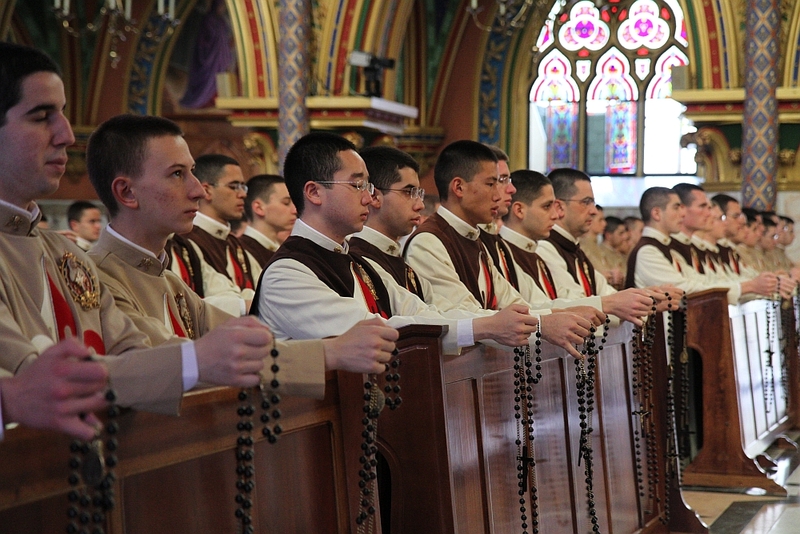 It is not uncommon for clergy and religious to ask to make a retreat with the Heralds of the Gospel, especially those preparing for ordination to the diaconate and to the priesthood. For these, the talks and meditations are adapted for the special circumstances. 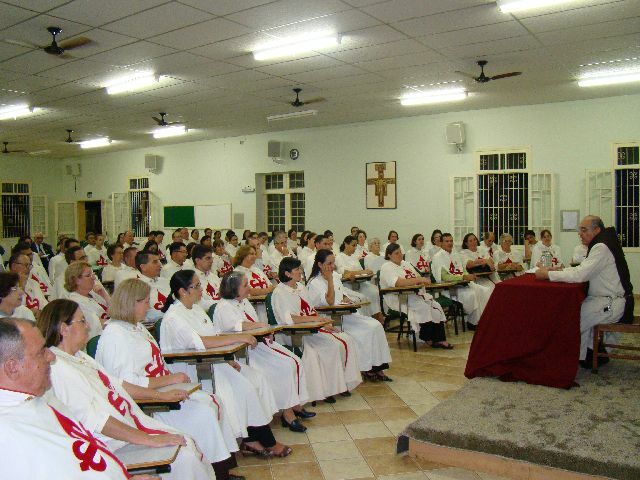 In spite of the number of requests, the Heralds of the Gospel do their best to accommodate everyone, depending on their availability, and the requirements of each retreatant.